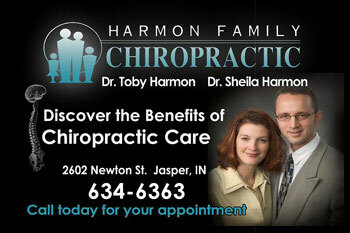 Welcome to the Harmon Family Chiropractic new patient center! We understand that you may be nervous or have many questions when arriving at a new doctors office. The main focus should be on your complaint/case and what you need as a patient. That's why the team at Harmon Family Chiropractic is ready to assist you with your chriopractic and healthcare needs; our aim is to make your transition back to health as smooth as possible. In this area of the website you will be able to take care of items necessary for your visit prior to arriving, in the comfort of your own home, this will help remove any stress or unnecessary tension caused from filling out paperwork, learning new faces and names, and getting to know your way around the office as these should be the least of your concerns. We look foward to seeing you in the office and serving you, you family and friends in the future. It is truely aprivilege to serve you and to meet your chiropractic needs!